WHAT I WORE ON DAY 1 OF GTBANK FASHION WEEKEND 2018. | O. R. R. - Life & Style Journal. WHAT I WORE ON DAY 1 OF GTBANK FASHION WEEKEND 2018. The initial plan was to wear this outfit to Lagos Fashion Week but I was ill for two out of three days. Lucky for me GTBank Fashion weekend was two weeks later so I was still able to rock it out. 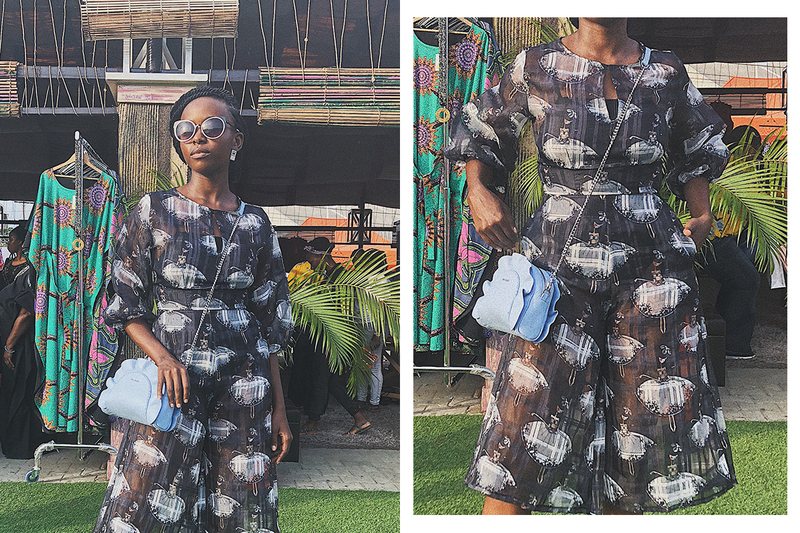 The jumpsuit is from a Nigerian brand called Tokatoka and it was loaned to me by The Republic, a store that stocks different Nigerian ready-to-wear and accessory brands! I'm tempted to purchase it because I love it so much. It's made of a see-through organza fabric and I felt a bit cheeky with my bum cheeks on display at the back. I wore my favourite ASOS everyday bodysuit underneath. I've got two pairs because it's the best basic body. I don't know why Asos hasn't restocked it yet but here's a similar bodysuit that I've got my eyes on in brown. I didn't attend Day 2 because I was nursing a horrible hangover. I stayed home, cooked pasta and headed out in the evening to see the stage play adaptation of Lola Shoneyin's "The Secret Lives of Baba Segi's Wives". The actors did an amazing job, a day well spent!